Alan Rudd presents the latest findings from the Beit Lehi archaeological site in Israel. A fascinating place that dates to book of Mormon times. The book is at the printer and I’m told it will be shipping by the end of the month. Bruce Porter will be presenting the latest developments regarding the dead sea scrolls and many other facinating research next Monday 25th in Riverton, UT. All of the content is scripturally grounded and faith-promoting. The material is entirely consistent with scripture, drawn from historical documents, archaeology and the Bible. While the presentation has a LDS element to it, any interested persons of all faiths are welcome to attend. Anyone curious about history that you won’t find in your average history books will enjoy the event. Above all, the theme focuses on the ancient, sacred and immutable connections between modern America and ancient Israel. Go to the Nephite Explorer bookstore below to order your copy of this groundbreaking research. 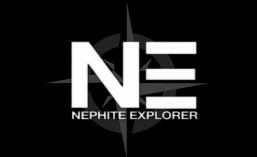 Season 4 episode one of The Nephite Explorer Project premieres today on KJZZ channel 14 at 4:30. In the next several episodes journalist Ryan Fisher investigates a mysterious set of ancient petroglyph panels that at certain times of the year, come alive through incredible light shows as the rising sun casts rays of light through holes in the rock cliff above. Its an ancient phenomenon that took 3 years to film with time laps cameras. But the most amazing part is that the lights appear to be telling a story right from the Book of Mormon. Come join us for an all day event featuring research presentations by Ryan Fisher, Wayne May, Bruce Porter, Paul Taylor and more. We’ll cover a wide variety of subjects from the latest Book of Mormon archaeology and geography to understanding and combating modern day apostacy.